Learn from an expert ways you can provide comfort and reassurance for your child with autism in this ever-changing world. The single mother of twin teen boys shares her consistent and successful nighttime routine. A mother lovingly describes the challenges of taking her young daughter with multiple diagnoses out in public while offering other families in similar situations strength and courage. Find out ways you can help your child achieve a healthy weight through good food choices as well as a review of common health issues that can lead to weight gain. With Valentine’s Day around the corner, a mother to three children, one with autism, shares how she celebrates love every day. A mom tenderly reflects upon her loving journey with her young son diagnosed with autism. A speech therapist shares the unique way she helped a young boy with ASD who would shut down completely when surrounded by other children. An occupational therapist, author and mom to three kids shares her tips on successfully incorporating fine motor skills and work activities into busy lives. A grandfather shares happy times spent with his grandson who is on the spectrum. Learn the results of a pilot study conducted on children with Sensory Processing Disorder who underwent a brain-training program which combines specifically processed music with visual, balance and coordination exercises. A mom shares her success in utilizing picture magnets to teach her young son with autism about the weather, shapes, habitats and body parts. A mom to two ASD boys explains the importance of finding innovative ways to communicate with kids with autism to create better connections. Learn the results of a survey sent to autistic college students across the U.S. revealing college experiences including ease of living, stress levels and motivation. A mom with a son on the spectrum shares the thoughts she believes autism parents often think but keep to themselves. Read about the development of a special lap pillow which can help benefit children with special needs. Learn about a community-based fundraising program designed to help people not only get involved in autism fundraising and events, but also provide a valuable resource to children in need. A loving mom shares her innermost thoughts about her young daughter with autism. Learn about a comprehensive resource book which provides complete skills and competency-based curriculum for parents, educators and professionals working with young adults. Autism Science Foundation is offering a limited number of travel grants to individuals who would like to attend the IMFAR to be held May 12-14, 2016. Practical strategies and resources parents can use to help mitigate some of the stress often encountered on the autism journey. Dr. Kelley Bolton provides key ways Asperger’s manifests in girls as opposed to boys and also provides tips for parents of Asper-Girls. Learn about how you can take control of planning the future for your child with special needs. Delicious and versatile recipe the whole family will love from Autism Food Club. There are days I feel caught between wanting to catch up on world news and needing to turn off the noise entirely. The news clips that highlight natural disasters, violence and heartbreak are often too much to absorb. Coping with traumatic events can be a challenge for people of all ages, especially children. And for young people with autism, the struggle can be intensified. So how can we help children with autism handle traumatic events they may hear about, such as impending storms, school shootings and terrorism? How can parents provide the comfort and reassurance their child needs? 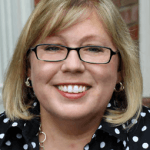 These are important questions — that’s why we connected with Karen Kabaki-Sisto, M.S. CCC-SLP, who has shared her expertise on ways you can guide your child. In her piece, Valuable Ways to Help Your Child with Autism Cope with Traumatic Events, Kabaki-Sisto provides several communication strategies which can help you develop a stronger relationship between you and your child, and, in turn, make your child feel more comfortable in a changing world. Providing strategies for dealing with daily life is one of our major goals here at Autism Parenting Magazine. 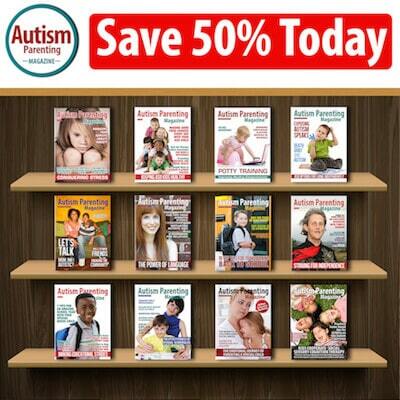 From our selection of articles on autism solutions and education to the latest news and personal narratives, there is something for every family. If you are in search of guidance on helping your child with autism get to sleep, for example, take a look at Kim V. Faiman’s article called Sure Fire Ways to Help Your ASD Child Go To Bed. A single mother of twin 18-year-old boys, one with autism and one typical, Faiman has plenty of valuable advice to share. Are you interested in new concepts surrounding autism and speech? We have an interesting article by speech therapist Keri Vandongen this month which explains the unique way she helped a young boy with autism who would shut down completely when surrounded by other children. In her piece, Excellent New Ways to Help Your ASD Child Talk at School, Vandongen describes how she instilled the help of parents, teachers as well as students to remarkably change one little boy’s world. It’s really inspirational. Another issue many of our families deal with is weight management as it can be a difficult for some children on the spectrum to maintain a healthy size. As we learn from by Karen Thomas, CMT, CST-D , when the scale doesn’t match regular healthy eating and exercise, there could be underlying medical issues. Be sure to read How to Help Kids with Autism Lose Weight the Healthy Way as Thomas reviews common health issues that can lead to weight gain as well as ways to help your child make good food choices. While it’s vital for parents to spend time finding innovative ways to guide their children with autism, it’s equally important for parents to find the time to take care of themselves. Between work, therapies, doctor appointments, educational plans and family life, it can be a challenge to remember to celebrate being a couple. With Valentine’s Day around the corner, we asked a mother to three children, one with autism, to share with us how she celebrates love every day. Take a look at ASD Parents: Simple Ways to Celebrate A Lifetime of Love as Michelle Myers describes some simple and inexpensive date night ideas. As Myers explains, love can be shown in so many different ways without succumbing to commercialism. Be sure to also take a look at our collection of personal narratives this issue as they exemplify loving relationships. In Steven Josias’ piece called A Special Life Bond: The Joy of Tickling, for example, this doting grandfather of a young boy with autism shares poignant moments of their loving friendship. And in Public Places – The Need to Stay Strong and Courageous, Emily Davidson tenderly explains how tough it can be to take her young daughter with multiple diagnoses out in public while also offering readers much-needed strength. Wishing our readers good health, good friends and enough love to last a lifetime. Celebrate every day. Here’s to inspiring other parents, teachers and therapists to take a whole team approach for helping a child communicate more with classmates. When everyone joins in, including fellow students to help a child join interactions and conversations with peers, the result is remarkable. 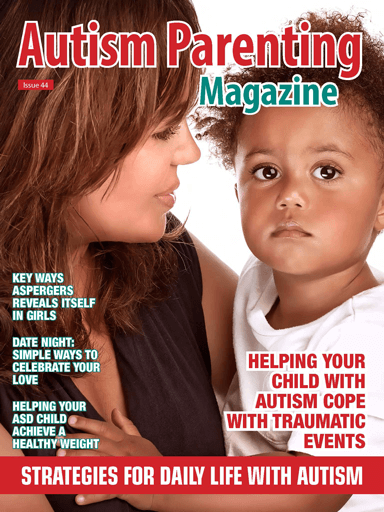 Thank you Autism Parenting Magazine for publishing my blog that describes how an incredibly dedicated team took on roles to improve the communication world of a little guy with autism. Thrilled to be part of your inspiring and positive community! I have the privilege of working with autistic pre school children and it is such an amazing job, I have been using the sensory activities with a great success I also introduced the weight vest to some of our pupils. I use your website a lot for research and have recently qualified with a level three in autism and our nursery have been approached to have a unit built to accommodate more children on the spectrum. Thank you for all the information you provide it gives me more confidence to teach .